Elbit Systems of America is a leading provider of high-performance products and system solutions focusing on the defense, homeland security, commercial aviation and medical instrumentation markets. 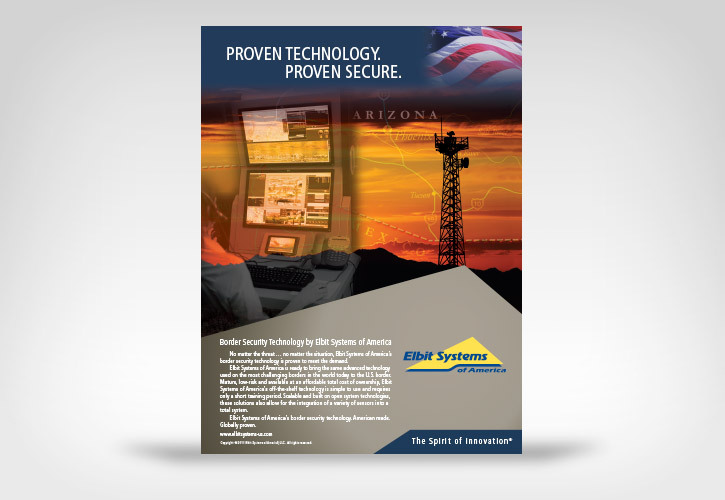 In 2014, Elbit Systems of America was in competition with several other major corporations for a border security system called the Integrated Fixed Tower program for the U.S. Department of Homeland Security Customs and Border Protection (CBP). 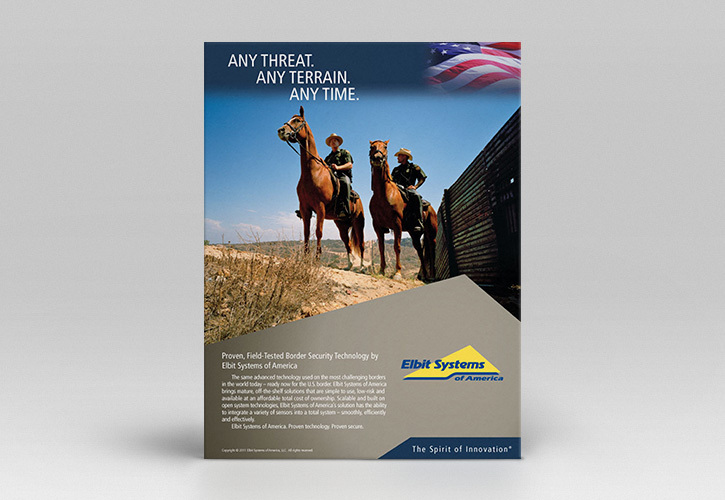 The Cirlot Agency was engaged very early in the capture process to create a communications strategy that positions Elbit Systems of America as the homeland security company of choice, and its product, Peregrine™, as the solution to the United States’ border security system needs. Following on-site involvement in Black Hat reviews, then White Hat reviews, and additional strategy sessions with the Elbit America Capture Team, the Agency created communications pieces designed to speak directly to decision makers and influencers within the CBP arena. Print and digital ads were created and placed within trade publications and during relevant trade shows. A video demonstrating Peregrine’s capabilities was also produced and featured at national trade shows, on the company’s website and as an introductory video for pertinent speeches. Elbit Systems of America won a $145 million contract to supply its Peregrine™ border security system for the CBP’s Integrated Fixed Tower project. The initial phase, which covers a portion of the total contract amount, deployed the Peregrine system in the Nogales, Arizona, area. For the first time, due to this contract win, Elbit Systems of America moved from a Tier II to a Prime within the U.S. market.